Solgar Organic Flaxseed Oil provides one of the most concentrated vegan plant sources of Omega 3 Fatty Acids found in nature. Our formula also provides Oleic Acid, an Omega 9 Fatty Acid, Fatty Acids play a role in providing an energy source for the body and support heart, skin, and nerve health. Through a unique cold processing method, the flaxseeds are pressed at very cold temperatures and are processed without solvents. Our oil is filled under a nitrogen blanket to safeguard it from oxygen exposure. Solgar's signature amber glass bottle minimizes light exposure to maintain freshness, efficiency and potency. 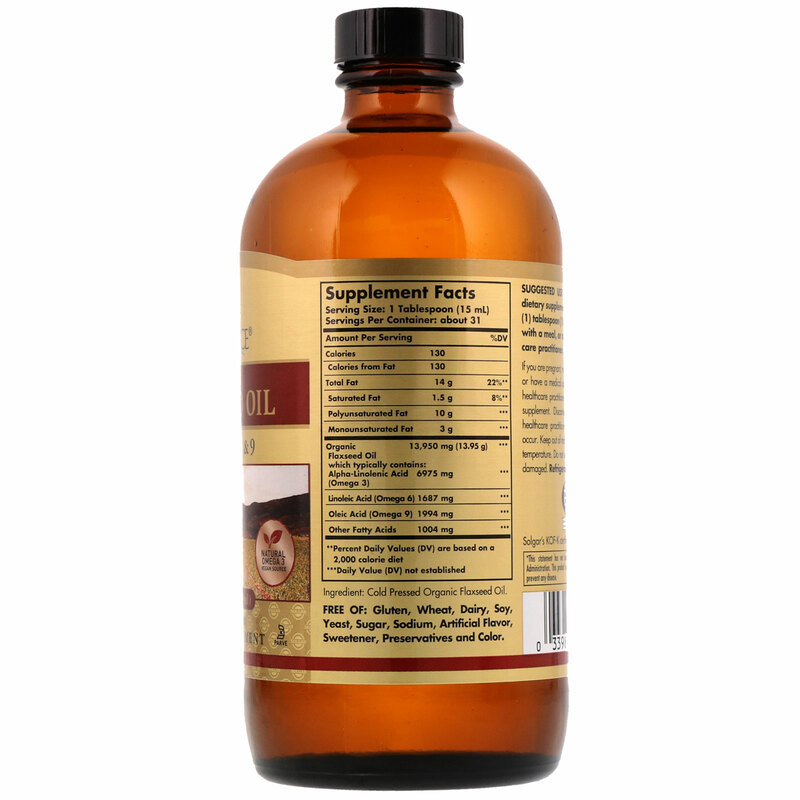 Shake well as a dietary supplement for adults, take one (1) tablespoon (15 ml) daily, preferably with a meal, or as directed by a healthcare practitioner. 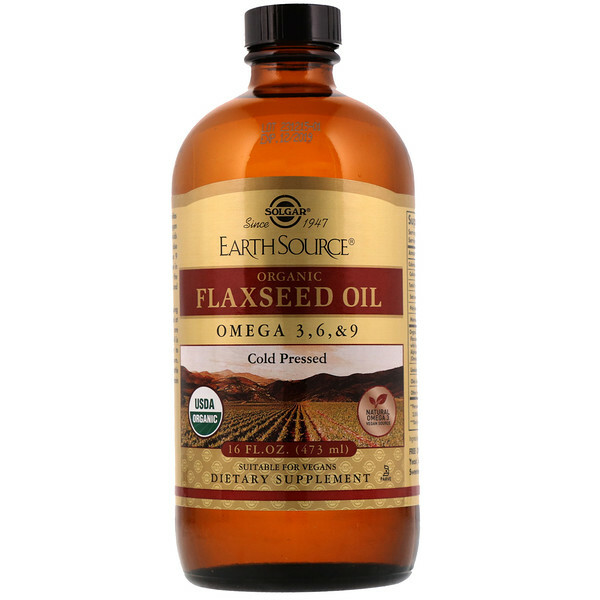 Cold pressed organic flaxseed oil. If you are pregnant, nursing, taking any medication or have a medical condition, please consult your healthcare practitioner before taking any dietary supplement. Discontinue use and consult your healthcare practitioner if any adverse reactions occur. Keep out of reach of children, Sore at room temperature. Do not use if neck seal is missing or damaged.